The songs on 1978 DECEMBER, Sonia Leigh’s Southern Ground Artists debut, range from the boozy barroom sing along of “Bar”- a throwback redolent of the less well-behaved Nashville of yesteryear – to the soulful Muscle Shoals shuffle of “I Just Might,” the acoustic groove of “Virginia” – to the first single “My Name is Money,” a bright, brash track that gives new life to dusty soul rock with nods to Joan Jett and Sheryl Crow. Georgia troubadour Leigh has a lot in common with one of her mentors, Zac Brown, who signed her to his Southern Ground Artists label. Leigh has been a part of Brown’s musical family for several years now, having met the singer/songwriter in Atlanta musical circles. Leigh is an authentic songstress with southern grit and a weathered drawl and 1978 DECEMBER embodies southern resolve at its finest, illuminating her sophisticated talent for blending country, blues, soul, and rock into one genuine, powerful sound. Like everything else she’s done, 1978 DECEMBER is the sound of Leigh expressing her soul. They just went live with my review on Amazon. 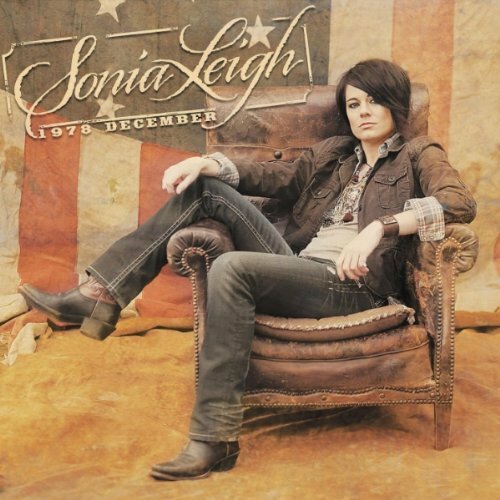 Sonia Leigh has been playing around Atlanta and the Southeast for years, and I have seen at least 60 shows. I can honestly say that she has never taken one show, one set or one song off. Her shows are full of energy and soul. Her songs are heartfelt, honest and well written. If you ever get a chance to see her live, do yourself a favor and make it happen. Sometimes a high energy live performer doesn’t translate well, when recorded in a studio, with no crowd to feed off of. Thankfully, 1978 December is the exception and not the rule. Sonia is in top form and every song is worth the listen. This CD has been rockin’ my iPod for a week now and will be for a long time. Buy this record now…and you’re welcome.